Air France, KLM Royal Dutch Airlines, China Southern Airlines and Xiamen Airlines announced in Amsterdam recently, the merger of their existing joint venture agreements. The aim is to create even stronger links between the partners and offer customers smoother, seamless travel solutions. 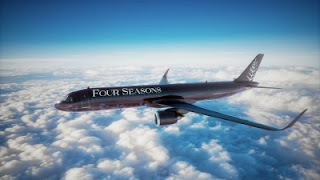 By connecting the four airlines’ networks, the joint venture offers customers a wide choice of destinations connecting Europe (Paris and Amsterdam) to China (Beijing*, Chengdu, Guangzhou, Hangzhou and Xiamen). Transfer and connection times are also optimized. Air France-KLM customers can also earn Flying Blue Miles on all flights operated within this joint venture formed by the four airlines. This extended joint venture marks an important step for Air France-KLM. Moreover, it contributes to strengthening the two airlines’ position on the Chinese air transport market, which continues to grow. Every year, the four airlines – Air France, KLM, China Southern and Xiamen Airlines – carry some 1,250,000 passengers between Europe and China on their joint-operated routes. Beyond the joint venture, the airlines closely cooperate in other areas, notably in airport handling, catering and aircraft maintenance services. For example, Air France-KLM Engineering & Maintenance carries out engine maintenance for Xiamen Airlines’ Boeing 787 fleet. More closely-integrated partnerships are also being discussed in other areas, such as aircraft maintenance, or cargo operations.